Welding, panel repairs, replacement parts & full restorations. Restoration of classic trucks is what we do, if your looking to work with a team of enthusiastic individuals that push the boundaries on creating something amazing while utilising the vast experience we have as a team then we feel we can assist you in an outstanding way. 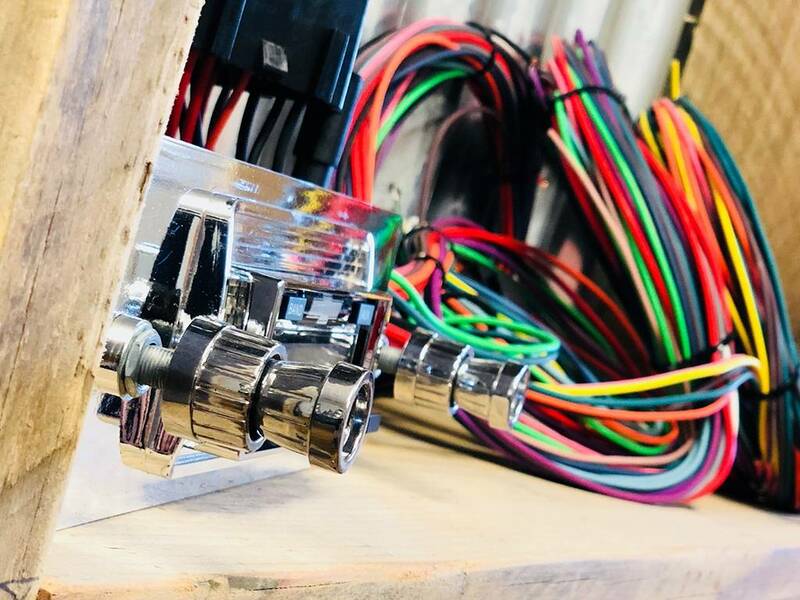 We hold the UK’s largest stock of classic Chevy truck parts which makes restoration of them easier with parts on the shelf including performance parts and upgrades for many perfect fit parts. Cab corners, repair panels & repair patches. Supplied from our very own parts department we can supply and fit many panels, full or repair. We have vast experience in welding and patching panels is a job we do on a regular basis. If you need us to help you with some panel work we will be happy to quote you on your job requirements. We have a great skill in matching patina on a vehicle to stay in keeping or we can work with out body repairers to have the paint work corrected if thats the style of your vehicle. Either way we can be sure you will be impressed with the work we can to to remove rust and repair your panel work. 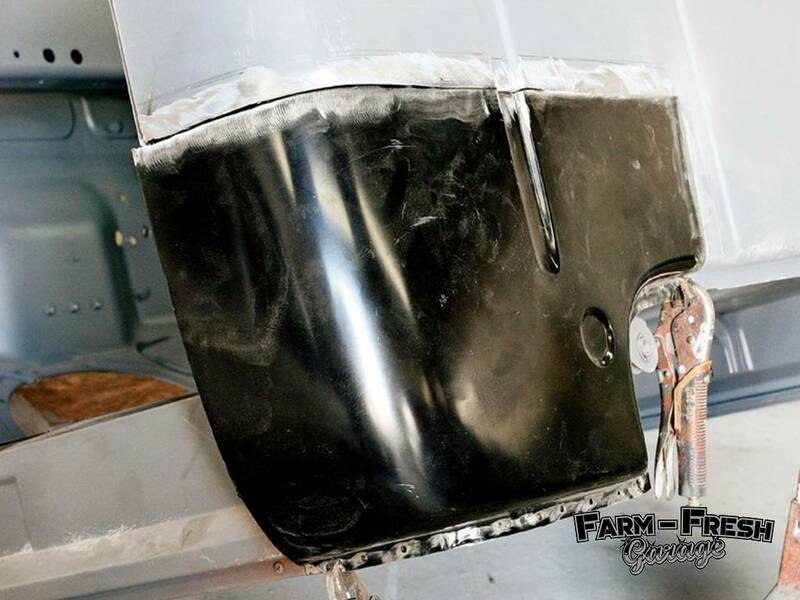 The items we touch mean so much… give your truck new handles and feel like its your own! No matter how many miles on the clock its always nice to have new handles. 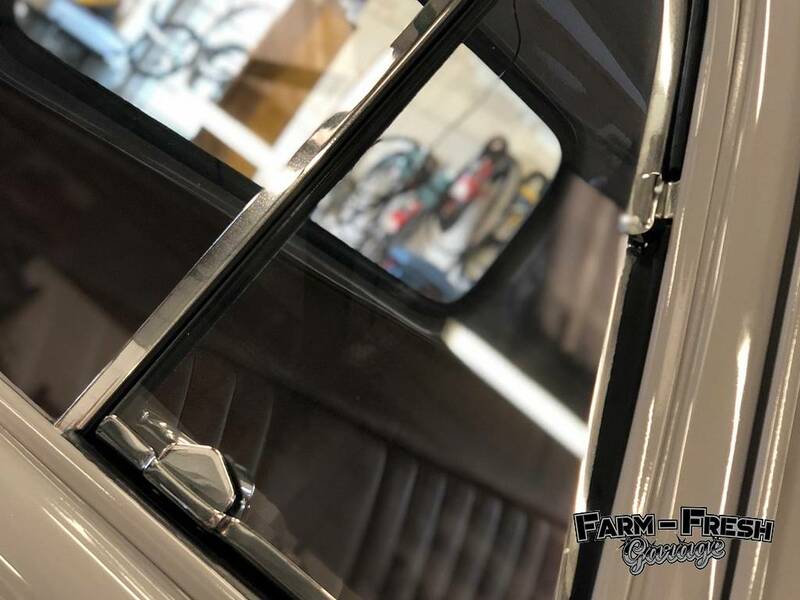 Here are Farm Fresh Garage we can supply you with a full interior door handle kit (door handles, winder handles, gaskets and spring clips if needed). This is a perfect example of adding the finishing touches to your work. We can Supply & Install a retro radio into your classic truck for you. Professionally installed radios can fit into the standard holes and we can hard wire them into the current wiring loom. We can also supply and fit the required speakers and amplifiers if you so require. Why not have a look in out online shop at the radios we stock and see if we can assist you in the install. Although we don’t do the trimming in house our selves we work closely with some trim experts who guide and teach us on the best way to produce the best results for your build. We can offer repairs or full interior revamps. We have custom designs along with recon back to original styles – whatever your taste we can supply you a solution that works. We have tried and tested the systems, suppliers and workmanship in this area to ensure nothing but the best available is on offer. This is an important part of the build, after adding a noisy V8 outside the cab and a new stereo inside you need to do your best to separate the 2 noises. We can assist by suppling and fitting Dynamat for you. 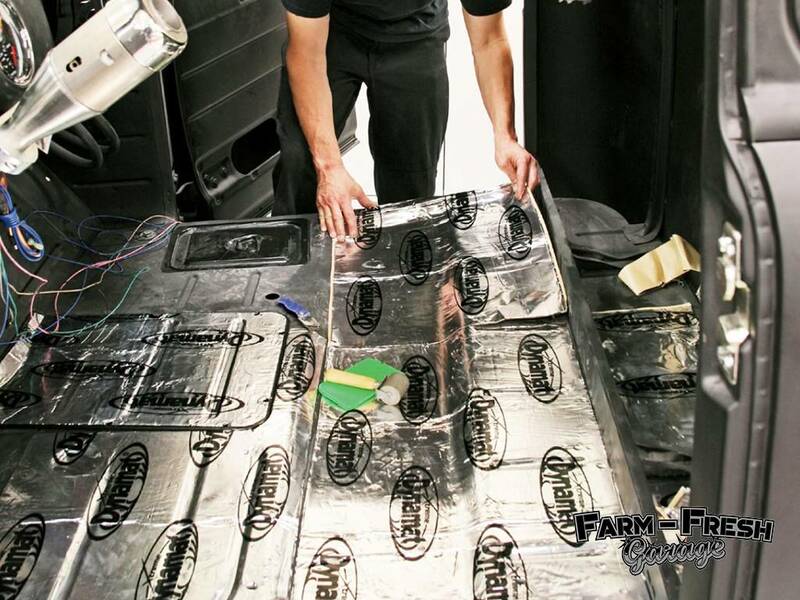 We professionally fit into the vehicle the correct way that Dynamat guide and recommend. 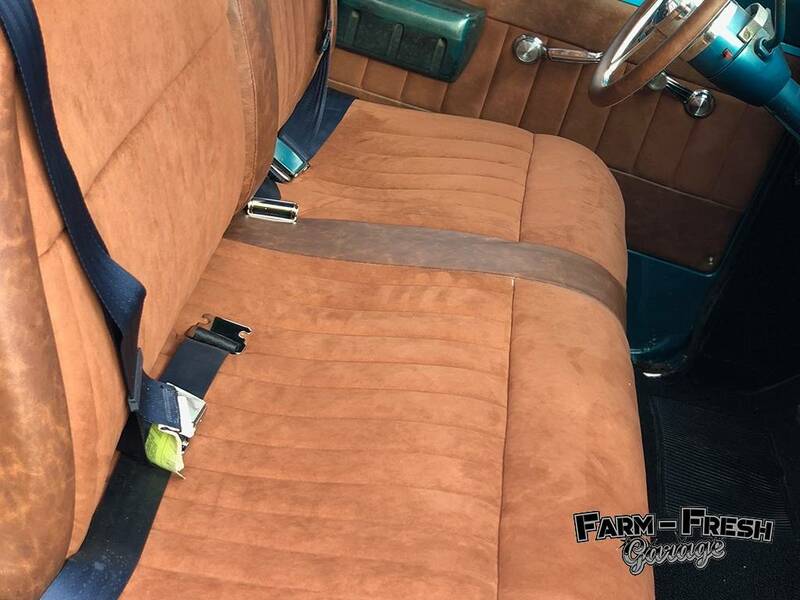 We will strip the relevant interior parts, carpet and anything else required, clean and install the Dynamat correctly and reinstall all the items back. We are confident you will notice the difference immediately. 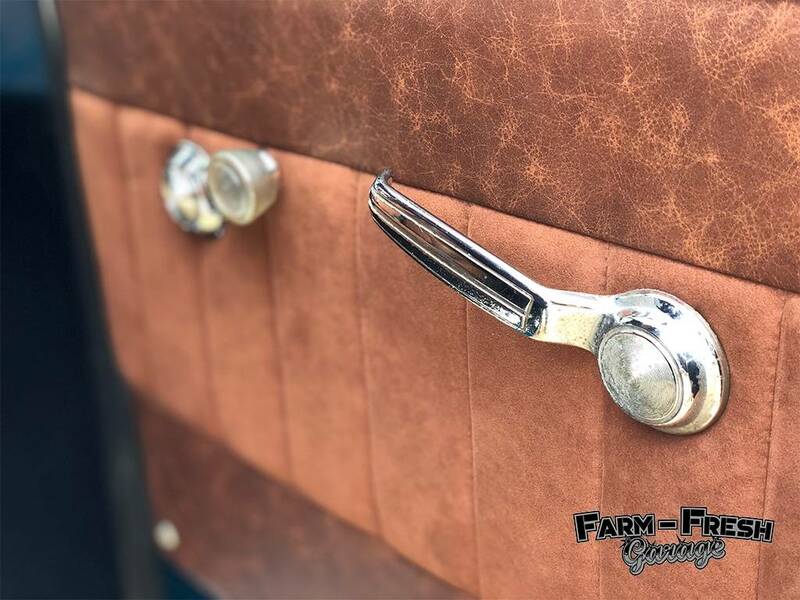 Farm Fresh Garage is the south of England’s No.1 American Truck restorers, builders and style gurus. We import, build, restore, and create fantabulous trucks and muscle cars via our Essex Garage in Rayleigh. We have a long history in this area while learning intensely with this vast experience.